And the award for “Minding Your Own Dang Business and Living Your Life Goes To?”: Kerry Washington! According to E! News Online, the Scandal and Django Unchained actress, 36, married San Francisco 49ers cornerback, social activist, and UC Berkeley graduate, Nnamdi Asomugha, 31, on June 24th. The handsome couple successfully navigated their courtship for at least a year without so much as a peep from Hollywood paparazzi. Washington’s beau, a former Raider and Eagle star and multi-year Pro Bowl winner, is described as “bookish” so it is no surprise that he matches well with Washington. The two were married in a small private ceremony in Idaho. Why is this an endearing story? Well, mainly because marriage, especially in the black community is always a taboo and fairytale like thing. But beyond that, Washington has become a cult sensation in the past year. Her incredible talent on the big and small screens garnered her a spotlight on the August 2013 edition of Vanity Fair. And while this news might be disappointing for virtually every eligible bachelor who doesn’t live under a rock, it is great news for both Washington and Asomugha. This story proves that stories like those of Kimye are just for publicity and attention. It also gives credence to the idea that superstars can function as normal humans beings. There seems to be a new trend in Hollywood where marriage and relationships are becoming more of a private affair. Jada Pinkett Smith has been very vocal about her undying support for her husband and their privacy, while folks like Beyoncé and Jay-Z have practiced stealthiness in concealing their relationship, marriage, and subsequent pregnancy. So, it is possible have personal business even when you’re a mega star. 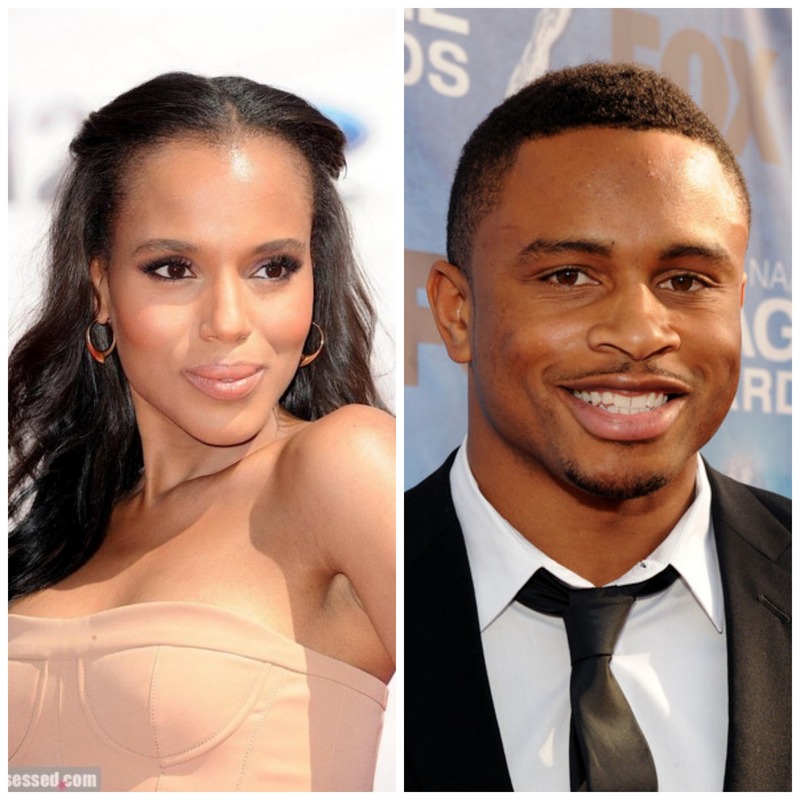 The hope is that Washington and Asomugha will be allowed to live their lives as they choose to. Regardless of their stardom, the two should at least have the option to have a semi-normal life together. We wish them all the best and a lifetime of happiness. Excited for the happy couple? Share your thoughts in the comments section below!